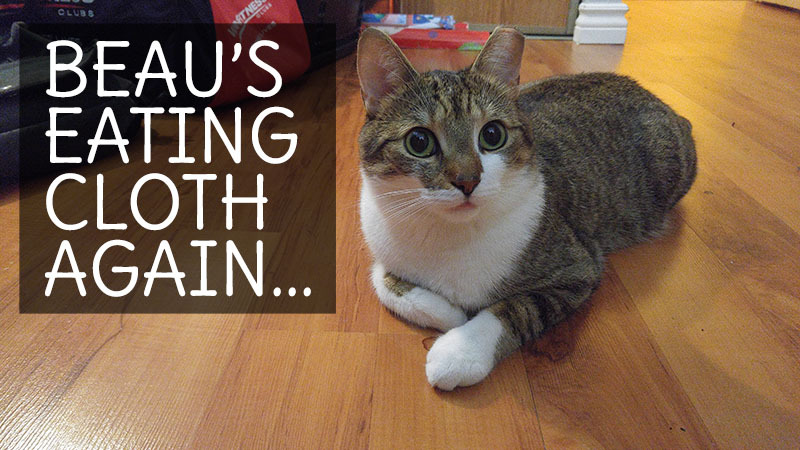 If you’ve been reading for a while, you’ll already know I’ve been giving updates about Beau’s chewing habits. 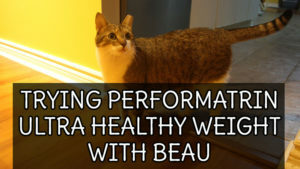 Recently we made a number of changes in Beau’s life such as feeding him 2/3 of food instead of 1/2 and most recently we’ve brought it back to 1/2, but feeding a food that expands more in his stomach (Performatrin Ultra Lamb and Brown Rice). I have made the decision to feed Beau a tiny bit more. Hopefully this will be the perfect balance of more food without making him gain weight or make him feel lazy. Tomorrow will be the first day I feed Beau 1/4 of BLUE Salmon and Sweet Potato and 1/3 of Performatrin Ultra Lamb and Brown Rice. Hopefully that will do the trick! Considering how playful he was tonight (now that his food was cut back) I hope he continues being playful even with this slight increase of food. I’m also considering buying some bitter apple or bitter cherry spray. I tried them at work and man are they gross. My worry is that Beau wouldn’t want to sit in our bed anymore or that he wouldn’t actually get the taste if it’s not sprayed all over the sheets. My other worry is that he won’t relate our bed sheet to ALL cloth items. We want to make sure he doesn’t chew on kleenex, or towels, or clothes, etc anymore and if the spray only deters him away from the bedsheets… well then it’s pretty much useless! Either way. Anyone else have a cat with a chewing issue? What did you do? 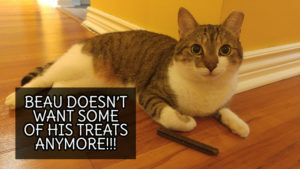 Beau Doesn’t Want Some of His Treats Anymore!! My boy kitty Rotell seems to eat anything! Clothes, stuffed animals, his toys, pillow cases!!! 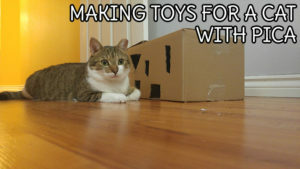 He has a sibling to play with, more toys then any cat I have ever had and the cloth eating continues. I dont know what to do. He is about a year old and we have had him and his sister since they were 10-12 weeks old. Have you tried changing up his eating schedule? I wrote a longer article with some extra ideas you may want to try. Also always more than happy to listen to more specifics like when he chews, how often, etc!